The first thing to know about cleaning concrete? You don’t need to be delicate. After all, it’s a very hard material. These approaches will enable you to get a long way toward removing ground-in dirt, mildew, spilled paint and most food stains. Cleaning concrete outdoors: you can rent a pressure washer for use in combination with a biodegradable detergent. Cleaning concrete indoors: your supplies are likely to be a bucket, scrub brush, and detergent. Hydrogen peroxide or ammonia also work well too. 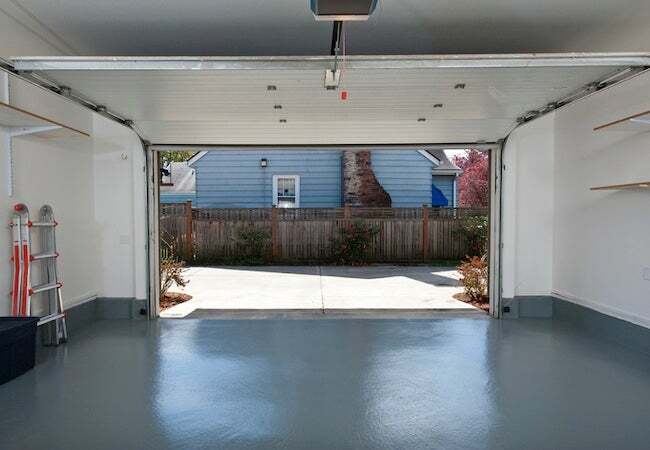 The bad news for the fastidious homeowner is that concrete is a porous material with innumerable tiny voids that can harbor dirt, mold, and all kinds of deep, stubborn stains. You can—and should— try applying common detergents directly to the tough spots and scrubbing with a bristle (not wire) brush. But you may not get far. I once tried cleaning a concrete garage floor that had been exposed to leaky oil pans and transmissions for years and years. Power washing did very little. What helped a little, though ultimately not enough, was scrubbing the area with TSP, then hitting it with the hose. As a last resort, I used an application of muriatic acid—this was the silver bullet that successfully vanquished all the remaining oil spots. 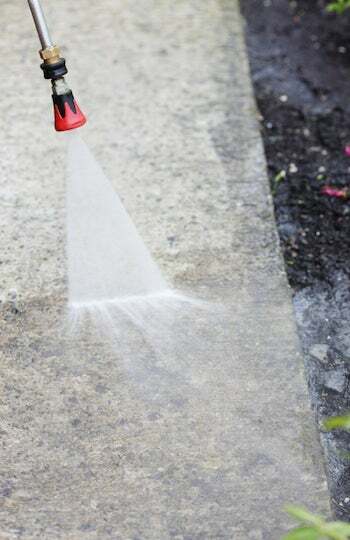 Muriatic acid can work wonders on filthy concrete (and it can also be very useful in cleaning excess smears of dried mortar and grout, or when attempting to alleviate tough rust stains). However, please be advised that you must be extremely cautious with this powerful acid. Don’t even use muriatic acid unless you really need to. If you must use it, be sure to wear protective gear (including protective clothing), and always follow the manufacturer’s directions for dilution. If the damage has been done and no amount or degree of cleaning seems to be doing the trick, then, if it’s indoor concrete, consider applying a masonry primer and a masonry topcoat. 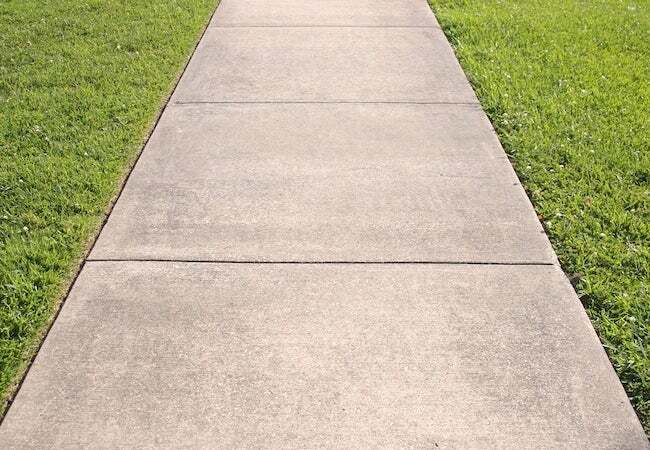 Such a coating would hide the old stains and seal the concrete to prevent further staining.